After Altice at the end of November, it is Cube Infrastructure's turn to put its shares up for sale according to several sources. Covage's 50% shareholder paid 66 million euros in 2012 to buy back its shares from Vinci. However, Morgan Stanley Bank was mandated to find a buyer on the basis of a valuation of €1 billion. The group's EBITDA would now reach €35 million for a turnover of around €100 million. "These ratios are not relevant. We are talking about an activity in full explosion with a very low maturity. In reality, the main driver is rarity," points out a good connoisseur of the file. 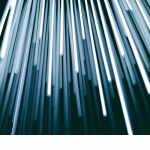 Charged by several departments with deploying optical fibre, Covage has already connected 630,000 of the planned 2.2 million households. The company still hopes to win a few more contracts to reach 3 million catches, which would represent just under 10% of French households. When all the cables are pulled, Covage will be one of the few players to have such a digital infrastructure in a significant portion of the country. Indeed, once this task is completed, operators will have to pay a fee to use their networks. 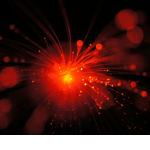 €1.8 billion to acquire half of the optical lines that SFR must deploy outside major cities. But this deal is criticized in the industry because many believe that the infrastructure has been oversold. Indeed, the line rental prices highlighted could not be applied. It took a year and a half of volunteer work to publish this study on the conditions of access to the Public Initiative Networks (PINs) deployed in France. This tool is intended for the FFDN's associative ISPs but also for other operators of similar size. Two steps were necessary to achieve it: first, to collect information such as contracts and service catalogues, and then to analyse and present the information obtained. The objectives of this approach are to show the difficulty of associative ISPs to operate on certain networks, but also that it is possible to create conditions that allow them to operate since some RIPs bring them together. In order to facilitate the visualization of the information collected from each public service delegate, the FFDN has set up a scoring system. Each service offer of a RIP was therefore evaluated using the same methodology containing objective criteria such as the amortisation period of the investments, the minimum number of subscribers and the price for the end user. The conditions proposed by each RIP were then summarized by assigning a score. From A to D, for the networks on which it would be possible to operate. And Z for networks where no activated offer is available in the catalogue or another equally blocking point. On the map below, taken from the FTTH barometer, we can see that more than a third of the French departments have obtained a Z score. This means that no offer is adapted to the needs of associative ISPs. 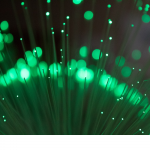 For the first time in France, an associative Internet Service Provider (ISP) will be able to connect consumer subscribers in FttH. Indeed, thanks to a participative fundraising campaign, Illyse raised 5520 euros. This sum represents the entry ticket to the RIP (Réseau d'Initiative Publique) of the Loire department. The associative operator will now be able to set up a collection infrastructure. It will therefore be able to connect its first subscribers in early 2019. But that's not all, since a second level of 4114 euros has been reached. This allows Illyse to become a LIR (Local Internet Registry) and thus receive an allocation of IP addresses from a regional Internet registry (RIR). A big victory for ISP associations that are demanding cheap activated offers. Indeed, they cannot deploy their own fibre optic network due to lack of resources. Associative operators therefore turn to the network rental of a major player to offer FttH to their members. But in most cases, prices are unaffordable.